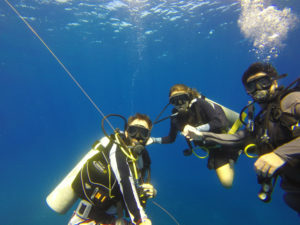 Boat ride, PADI Pro instructor, All necessary equipment, Water, Juices & Snacks, Marine Park Fees. 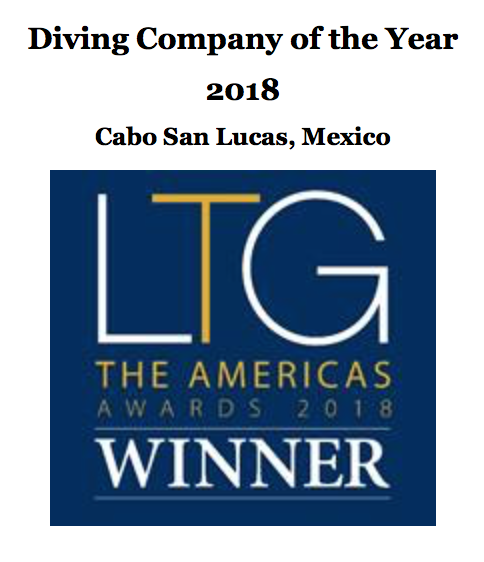 Diving in the Corridor of Cabo San Lucas is a excellent option if you want to see a bit more of Cabo San Lucas and it’s surroundings. 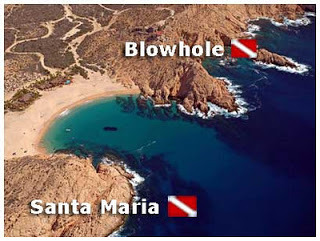 The Corridor is the coastline between Cabo San Lucas and San Jose’ del Cabo and there are at least 4 spots that are well worth the effort to get there: Chileno Bay, Santa Maria, Blowhole and Whales Head. 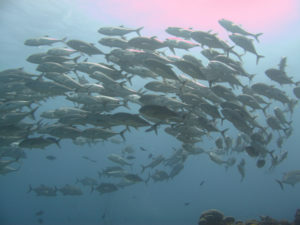 Along the walls and hiding under huge rocks we can find a wide variety of marine life, including some big pelagic fish such as whale shark, tunas, wahoos. As we get closer to November, chances are to encounter humpback whales, well to be honest the chances are very small, it is possible to hear them songing and they are there but to see one it really needs to be your lucky day. 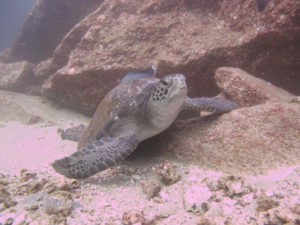 Nice underwater rock formations and hard coral make these dive sites very interesting: depth can be chosen according to the expertise of the divers, shallow as well as deep is available making it perfect for both beginners and experienced divers. Depending on Ocean conditions the boat ride is about 30 to 40 minutes to get to the furthest dive site (Chileno Bay): the Corridor is a perfect occasion also for non divers to join the group as the reefs close to the coast are very shallow and are great snorkeling spots, so bring family and friends on tour with you, they may even be interested in trying scuba diving by enrolling in a PADI Discover Scuba Diving (DSD) program. Loreto: Blue Whales, Turtles, Sea Lions. 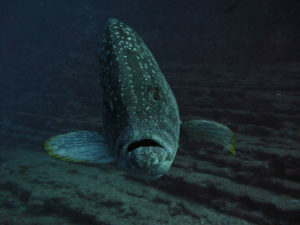 Baja California Sur region has a lot of dive sites that are well worth to be discovered. Cabo Trek organizes flexible tours according to your wishes: let us know what you’re looking for, your level of expertise and we organize the right tour for your group. Multiple day trips are also possible: not only diving, if you go for a multiple day trip we can explore Baja California a bit more in depth: fresh water waterfalls, cave paintings, ghost towns, desert tours are among the activities besides diving available in this region. Is a large open bay with a large rocky reef structure that juts perpendicularly out from a lovely beach. 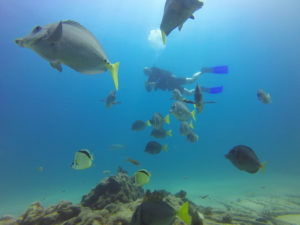 The site can be dove shallow exploring the crevices and schools of fish among the rocks or deep, looking for spotted rays in the sand or cow nose rays soaring by above. 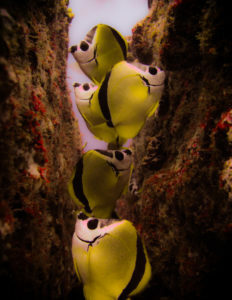 Quite often we see schools of surgeon fish, goatfish, chub and butterfly fish. 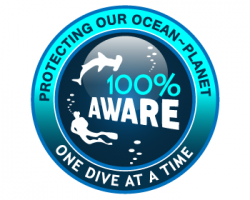 This is a good site to find zebra and starry moray eels, diamond and Cortes stingrays and trumpet fish. 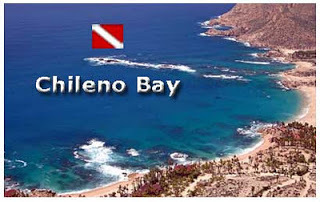 is a small protected bay with a great beach that is the start of our dive. Beginning in the protection of the bay we make our way deeper, following the coral encrusted rocky reef structures. 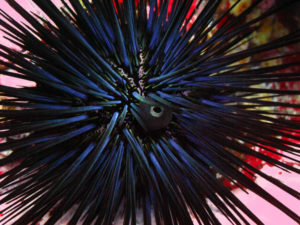 This is a good site for many varieties of puffer fish and the odd looking spotted boxfish. 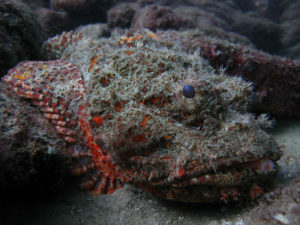 There are lots of parrot fish, lizard fish and giant hawkfish to see while exploring the reef structures. is a small bay steep cliffs surrounding a central island where you can hear the blow hole erupting with sea water when there is surge in the shallows. The site has high profile rocky reef structures deeper and finger like projections closer to shore. On the deeper reef structures we often find white tip reef sharks (in the warmer months) or guitarfish and giant electric rays (in the colder months). Schools of jacks and mobula rays often pass by. is named for a rocky structure over the water, the site can be dove both as a deep multi-level profile or shallow exploring the coast line. 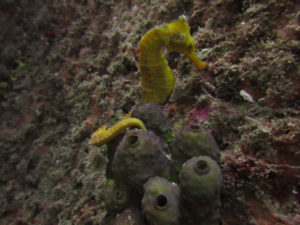 The site has many crevices and overhangs making it good for macro sea life. Exploring the reef structures here you may see schools of Panamic Porkfish, King and Cortez Angel fish above and a variety of moray eels below. Keep an eye out for Leopard Flounder in the sand and the Panama Graysby perching for a photo.